I don’t know about you, but we had a lot of fun on New Year’s Eve. Frank and I didn’t go out to a party or out with friends, but we stayed home with our family. We ate, played games and watched the ball drop in New York Times Square. It was a great night! From a recent survey, Hasbro found that nearly 80 percent of Americans would opt to stay home this past New Year’s Eve instead of spending the night on the town. This made New Year’s Eve the perfect opportunity for families and friends to break out Hasbro’s collection of party games. I know we did! • SERVE FUN FINGER FOODS that are easy to eat with one-hand so you can put on an oversized green foam finger and play the hilarious new POINTING FINGERS game with your family & friends. • PARTY & PLAY AT ONCE! Get the party started instantly withCATCH PHRASE, the pass-it, shout-it, guess-it game you can hold in one hand while keeping your drink/food in the other!! • MAKE NEW FRIENDS. With the new ‘ask a friend’ feature in theTRIVIAL PURSUIT PARTY game, you can ask others to help out with your questions. It’s a great way to break the ice with new friends at the party! • ADD IN SOME HOLIDAY-THEMED RULES. For every round won, a team can share favorite memories from 2013, or for everyTABOO buzz, players can share a New Year’s resolution they’ll be making. • SNAP ‘N SHARE THE FUN. Set up some silly hats or homemade trophies for the victors and be sure guests capture photos of themselves celebrating their wins. 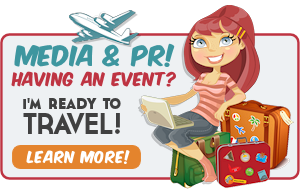 Share the pictures on social channels or send them around to your guests the day after the party to relive the fun of New Year’s. 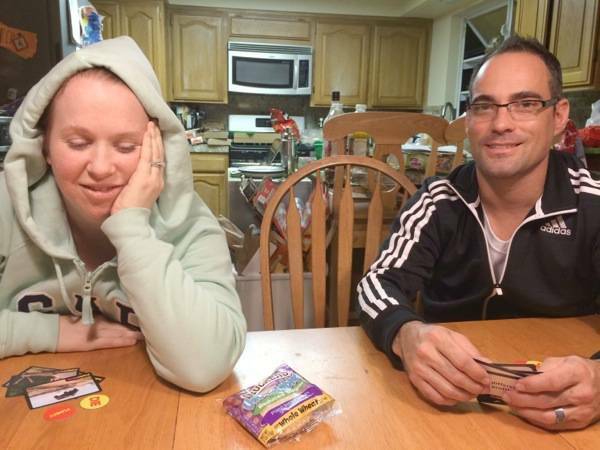 We received FUNNY OR DIE from Hasbro and enjoyed playing it on New Year’s Eve. The kids really enjoyed it and wanted to keep playing it. I liked the funny pictures and had fun playing, even though I didn’t win once. Hasbro has joined forces with Funny or Die, the popular comedy video website, to bring you the ultimate in caption craziness with the FUNNY OR DIE game. Try to one-up your friends by matching outrageous photos and captions to create the best laugh-out-loud combo. Everybody votes on which is the funniest and which one must “die.” Players earn money for having the funniest pair and the player with the most cast at the end of the game wins. 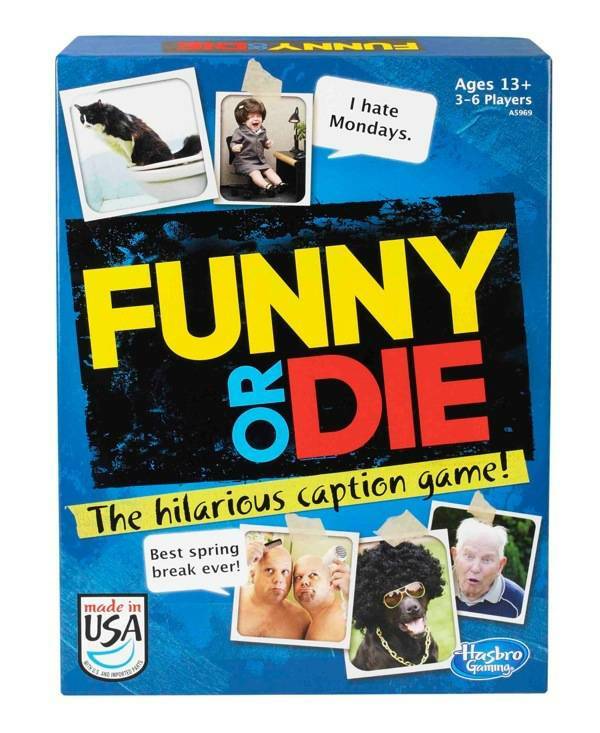 With hundreds of hilarious pictures and captions, the FUNNY OR DIE game will have players laughing till the very end. 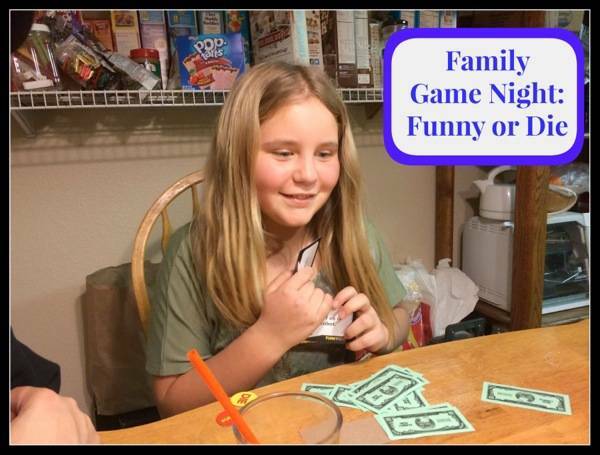 1 lucky winner on The Mommy-Files will win their own FUNNY OR DIE Game from Hasbro!!! I love Hasbro, they have great games, I’m a grandmother and my idea of a fun time is always playing games. The Hasbro game I like the best is Catch Phrase, I love it, and all the kids love laughing and playing, we always have so much fun. Love the Game of Life!! This sound like a really fun game. We too stayed in on New years eve and had a game night. It was so much fun. I love the Game of Life soooo much! I commented on the Johnsonville Secret Ingredient Recipe: Chicken Sausage & Shrimp Jambalaya post at http://www.themommy-files.com/2013/04/johnsonville-secret-ingredient-recipe-chicken-sausage-shrimp-jambalaya/.